Need more space? Not sure how to make the most of the space you have? We’re experts in storage capacity planning. The pressure is on to do more with less. 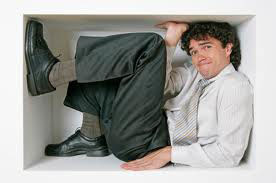 You need inventory on hand to fill customer orders fast, but you can’t afford to expand your current space and quarters are getting pretty cramped. Or maybe you have enough space but your tools, supplies and other materials aren’t organized efficiently and it’s really slowing you down. Rapid growth, seasonal peaks, taking advantage of volume buying discounts and consolidating facilities all create space challenges that can negatively impact your ability to produce and deliver your products and services. Before you decide it’s time to make a move, call Storage & Handling Equipment to get a comprehensive assessment. Leave it to Storage & Handling Equipment to design smart warehouse solutions that work for you. Count on Storage & Handling Equipment’s warehouse logistics and warehouse inventory management expertise to create a dynamic solution that can evolve with you. 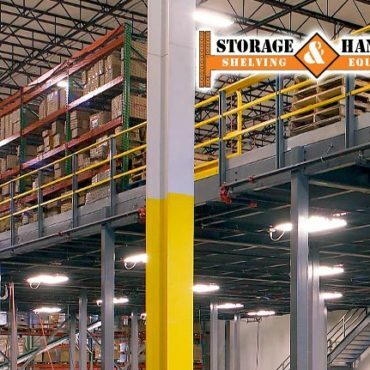 Our storage and material handling experts have a keen eye for making minor adjustments in your warehouse layout that result in major improvements to your operational efficiency and productivity. We’ll help you get a better handle on your parts and materials, work-in-process and finished goods. Plus, depending on your budget, we can include economical options such as used pallet rack and used shelving. 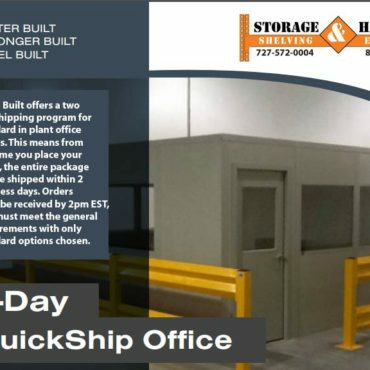 Whether you need to store twice as many materials, free up space to use for something else, or keep parts at your fingertips for maximum efficiency, we’ll design custom warehouse solutions that get the job done. If your storage capacity planning is out of control, call toll-free 877-780-7273, local 727-572-0004 to schedule your on-site assessment.